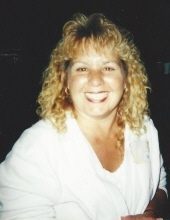 Carlene Ann Gruber, age 63, a resident of Naperville, formerly of Clifton, Wayne, Bricktown, Budd Lake, and Toms River, NJ and Aurora, IL passed away peacefully on February 5, 2019 surrounded by her loving family. She was born October 22, 1955 in Paterson, NJ. Carlene is survived by her husband of 40 years James Gruber; daughter Amanda Gruber; father Robert V. Costantin; brother Robert (Patty Bucco) Costantin; sister Michele Costantin; siblings-in-law Jerome (Carol) Gruber Jr., William (Claudia) Gruber Sr., Jeanne (Todd Poland) Bratsofolis, Suzanne Gruber, and Judith Gruber; nieces and nephews Jennifer, RJ, Kristine (Vincent), Marissa, David, Brian (Yashira), Alexandra, Julia (Michael), Virginia (Mitchel), Jacqueline (Anders), Jillian (Antonio), William, and Daniel (Lindsay); great nieces and nephews Josiah, Mahki, Dayne, Breya, Brian, Avery, Madeleine, and Oscar. She is preceded in death by her mother Alice Ruth Costantin nee Rigney; mother-in-law Dale Ann Gruber nee Perrett; father-in-law Jerome Martin Gruber. Carlene attended grade school and was a congregant of Our Lady of the Valley and then graduated from Wayne Valley High School, in Wayne, NJ in 1973. She was a long time parishioner and CCD teacher at Our Lady of Mercy in Aurora, IL before relocating to Naperville in 2004. Carlene spent over twelve years working for Kmart Corporation in various NJ locations initially for concessioner Meldisco Shoe Company where she met her husband. She then became a Sales Associate and Office Assistant for Ladies Apparel Division, and finally a Store Office Manager. She left the company upon the birth of her daughter, Amanda. Carlene went on to become the co-teacher of the Mother’s Day Out Program at the Knox Presbyterian Church, a Clerical Aid Substitute for the Indian Prairie School District, a co-teacher of the Children’s Day Out Program for Knox Presbyterian Church until she retired as a homemaker. Carlene loved landscaping in her backyard garden, and was an avid craft show exhibitor in her younger years. Carlene was a devoted fan of both the NY Giants and the Green Bay Packers, and loved an occasional 7&7 with friends. Most of all, she loved her family dearly, and she will be deeply missed. Family and friends to gather Saturday, February 16 for 1:00 PM Memorial Visitation until time of Memorial Service 5:00 PM at Friedrich-Jones Funeral Home & Cremation Services 44 S. Mill St. Naperville, IL 60540. For those wishing to leave a lasting tribute to Carlene’s memory, donations in lieu of flowers to the American Cancer Society at 1801 S Meyers Rd. Suite 100, Oakbrook Terrace, IL 60181 would be appreciated. To send flowers or a remembrance gift to the family of Carlene Ann Gruber, please visit our Tribute Store. "Email Address" would like to share the life celebration of Carlene Ann Gruber. Click on the "link" to go to share a favorite memory or leave a condolence message for the family.